Everyone loves the Shins. It’s hard not to after past tracks like “Caring is Creepy” and “New Slang” played such a large role in the film Garden State. Port of Marrow, the latest release by this iconic band takes things back to a new sound that still feels entirely like The Shins past releases have promised. The title track is easily the most unique track on the album. Sounding a bit more like the Decemberists than it does like the Shins, the song is slow and breathy; a bit of a jazz sound mixes with airy, falsetto vocals. Move on to “Fall of ’82.” The track is full of sunshine and sure to delight any Surfer Blood fan. There’s even a Modest Mouse vibe to the stunning track. 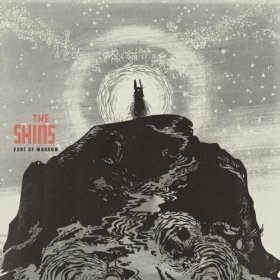 It’s unlike anything else from the Shins, however. The whole album is a match of unique tracks unlike anything the band has produced but somehow still the perfect fit for the band’s style. “Simple Song” is anything but simple. The track is like a cool, pop symphony. You’ll find yourself in a trance over the various elements in the song like the easy vocals and the light instrumentals. When it comes down to it, we know you’re going to love this album as it’s impossible to NOT love the Shins.